Three unanswered second-half tries were enough to see the Dirty Reds defeat Mounties 18-16 in round 10 of the Ron Massey Cup at Henson Park on the weekend. 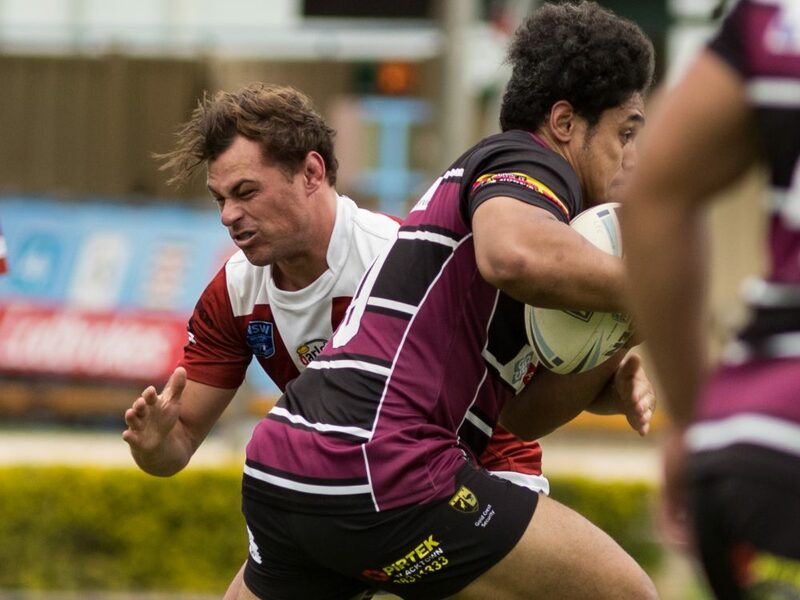 The home side was desperate to hit back after a heartbreaking two point loss to Wentworthville the previous weekend, but the early signs weren’t good. with Mounties crossing for their first try through Shannon Chapman on 8 minutes. Thomas Bartley was next to score on 20 minutes, before Chapman bagged his second 7 minutes later. And when Roman Ioelu crossed four minutes later, it looked like Aaron Zammit’s men were in for a very long afternoon. With all four conversions unsuccessful, the Mulga took a 16-nil lead into the break. While, the Dirty Red faithful could be forgiven for chalking this one up in the loss column, the players had other ideas with Glebe-Burwood capitalising on some solid second phase play to send George Tsikrikas over after 48th minutes. It was the first of three tries in a twelve minute period, with club captain Jackson Garlick crossing for a double with tries in the 52nd and the 60th minute. The ever-reliable Jesse Marschke converted all three tries to put the Dirty Reds in front 18-16 with 17 minutes to play. Glebe-Burwood’s game management was near-perfect in the second half. Jesse Marschke’s kicking game was on the song throughout, there were minimal errors and not one single penalty in the second forty (we conceded 7 in the first half). But it was the defence which ultimately won the day. Jaimin Jolliffe led the way with some stinging shots throughout the match. 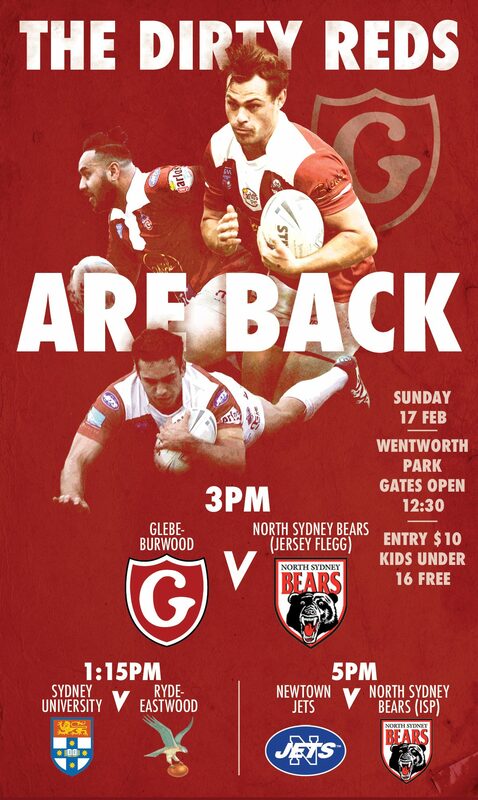 The Reds repelled wave after wave of Mounties attack in the final 10 minutes to run out 18-16 winners and move into 2nd spot on the ladder on 14 points, behind ladder leaders Wentworthville on 16. The Dirty Reds travel to Storey Park this Sunday afternoon to take on 7th-placed Asquith who are just 3 points behind us on the table. Kick-off is at 3pm.